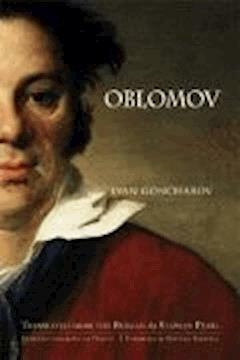 Oblomov is the best known novel by Russian writer Ivan Goncharov, first published in 1859. Oblomov is also the central character of the novel, often seen as the ultimate incarnation of the superfluous man, a symbolic character in 19th-century Russian literature. Oblomov was compared to Shakespeare's Hamlet as answering 'No!' to the question "To be or not to be?" Oblomov is a young, generous nobleman who seems incapable of making important decisions or undertaking any significant actions. Throughout the novel he rarely leaves his room or bed and famously fails to leave his bed for the first 150 pages of the novel. The book was considered a satire of Russian nobility whose social and economic function was increasingly in question in mid-nineteenth century Russia.